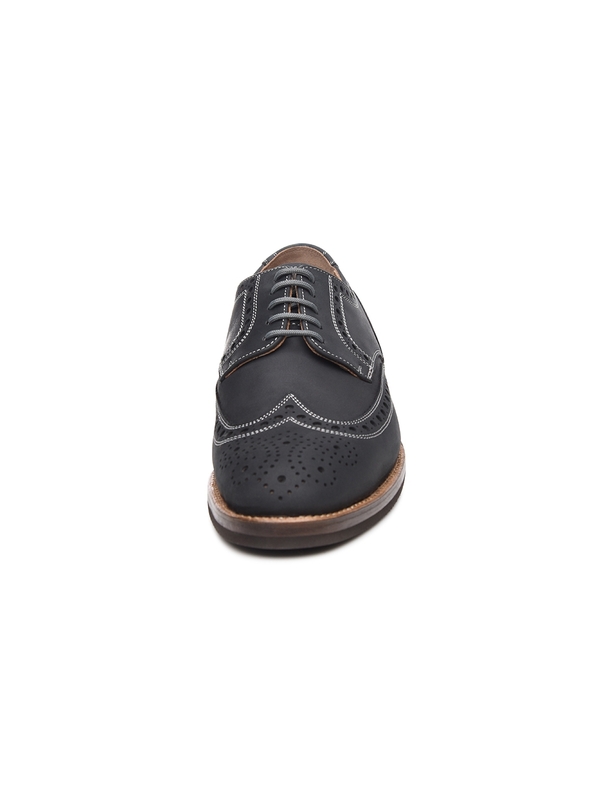 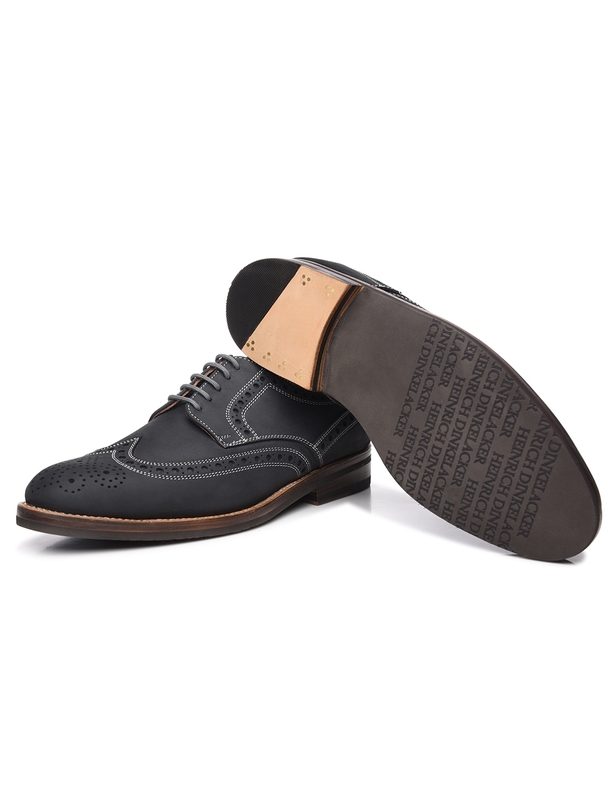 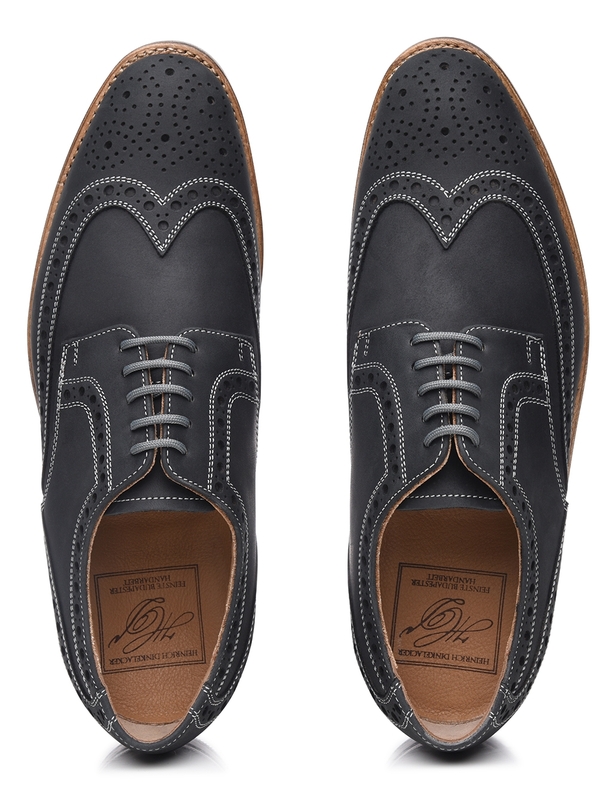 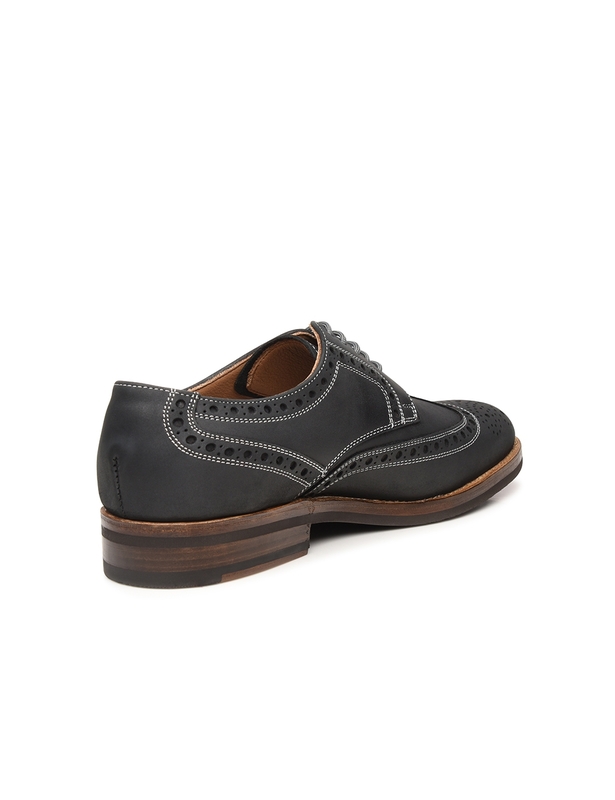 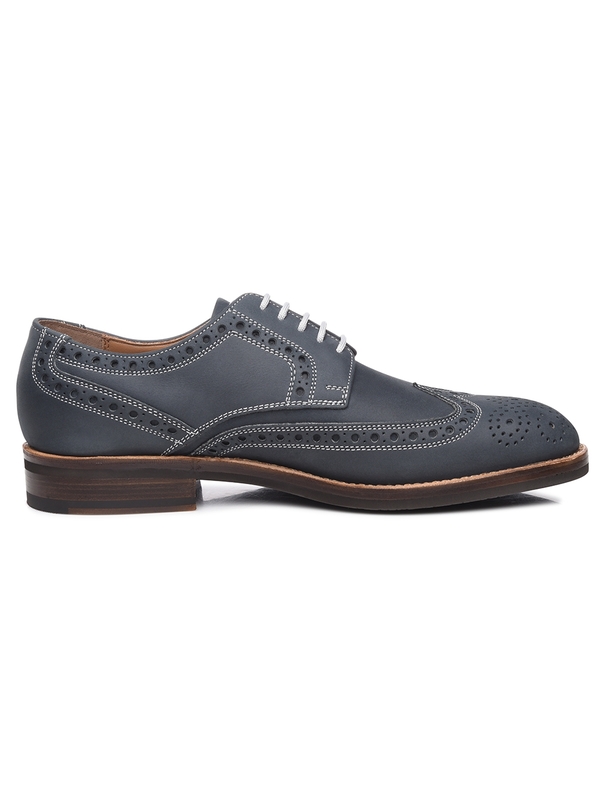 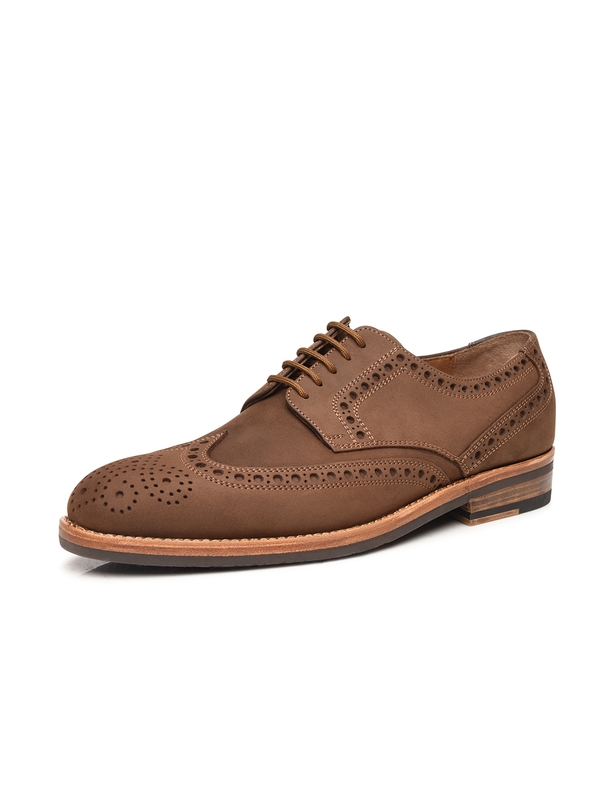 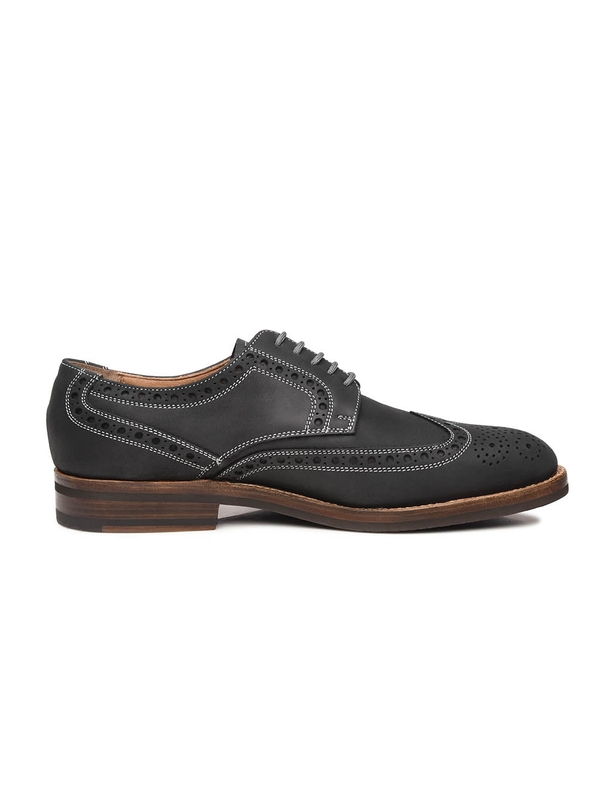 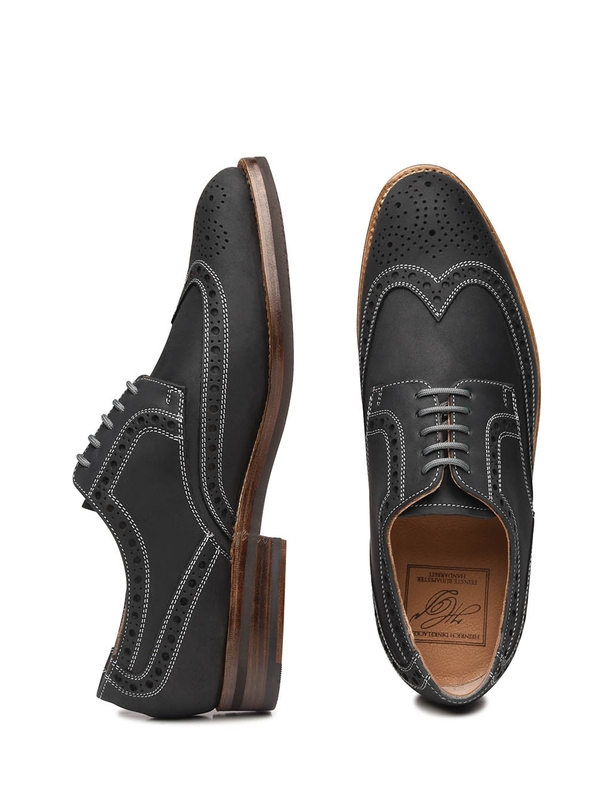 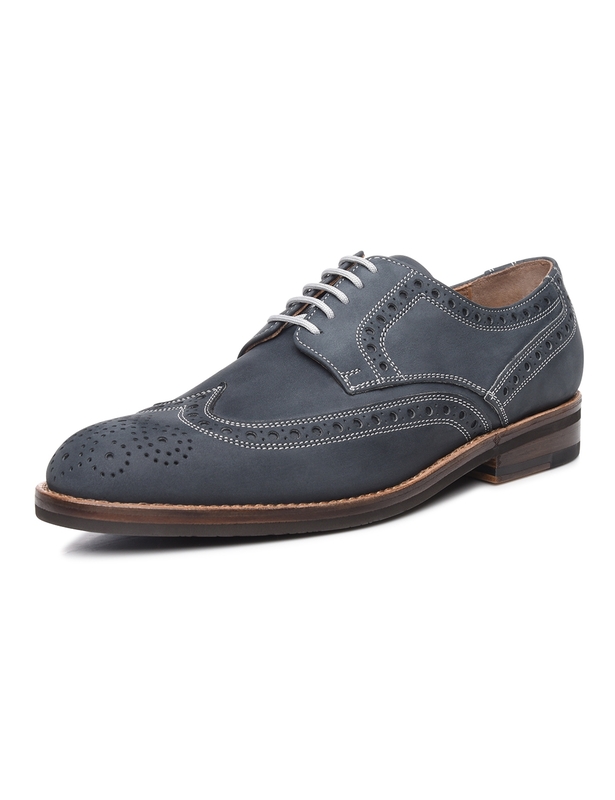 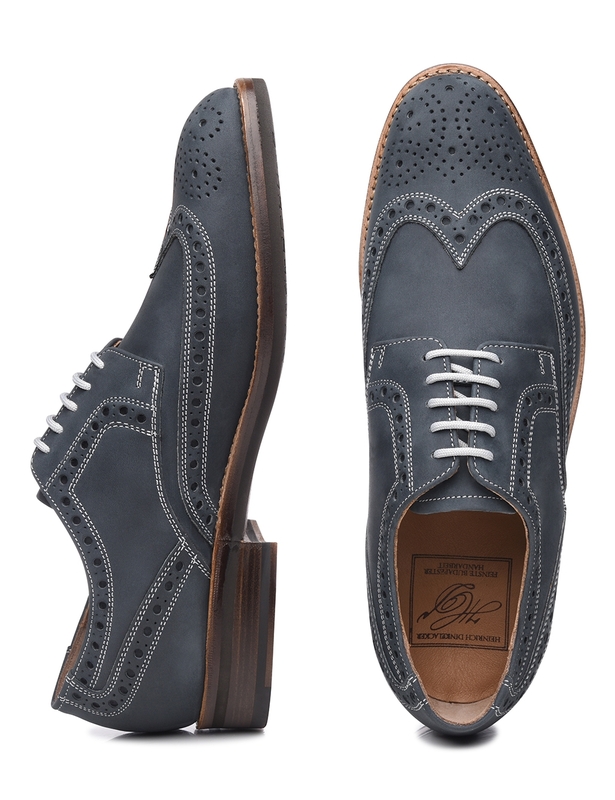 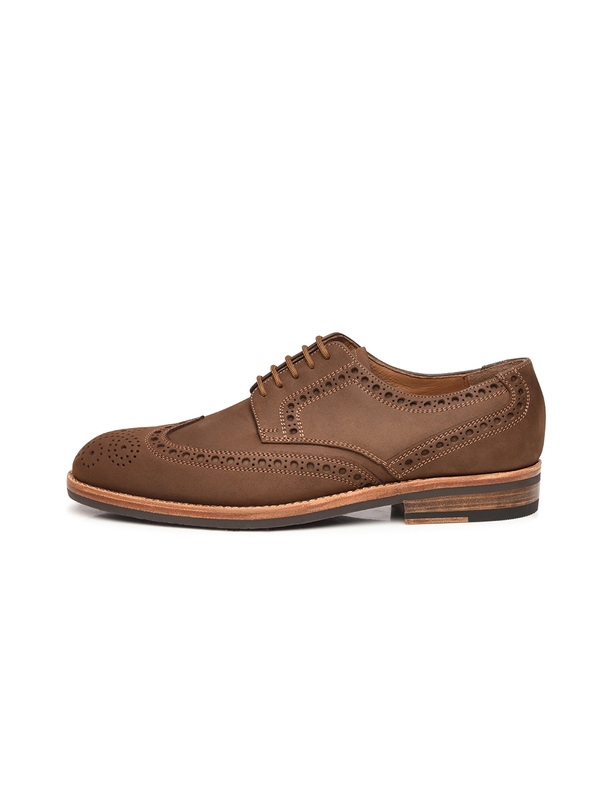 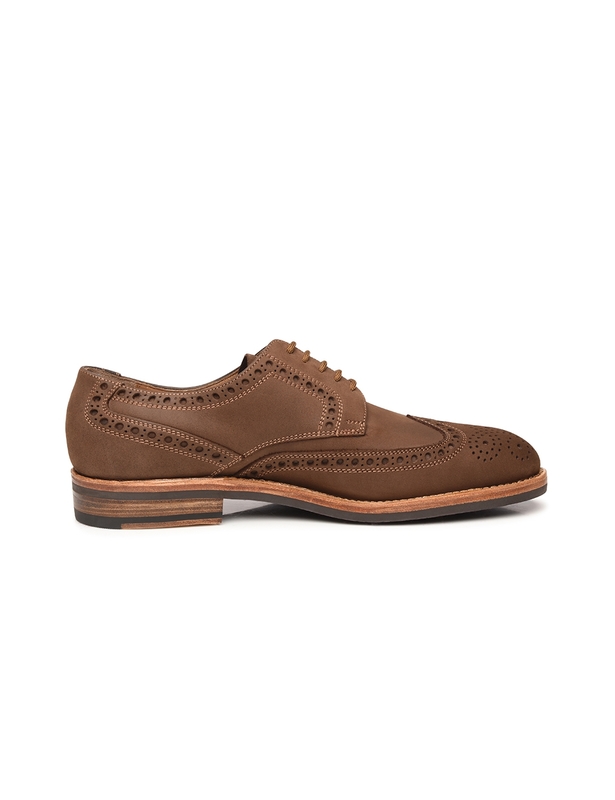 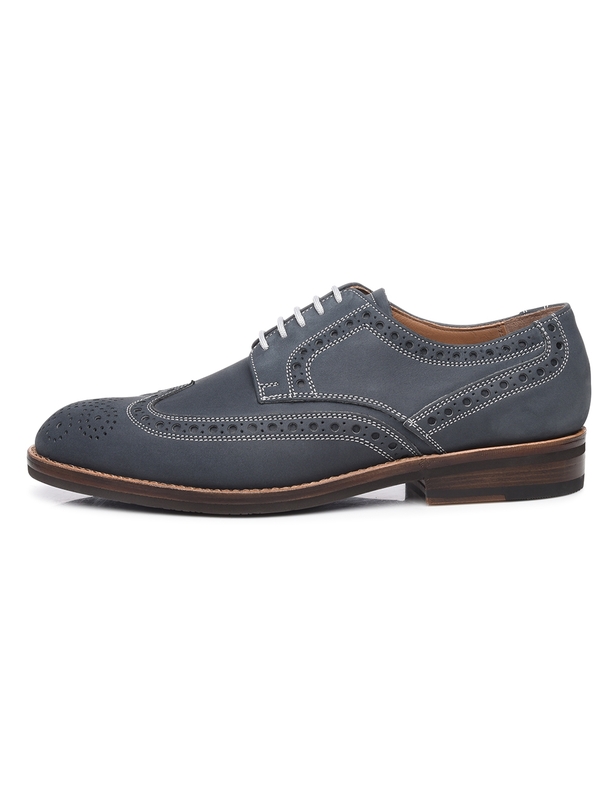 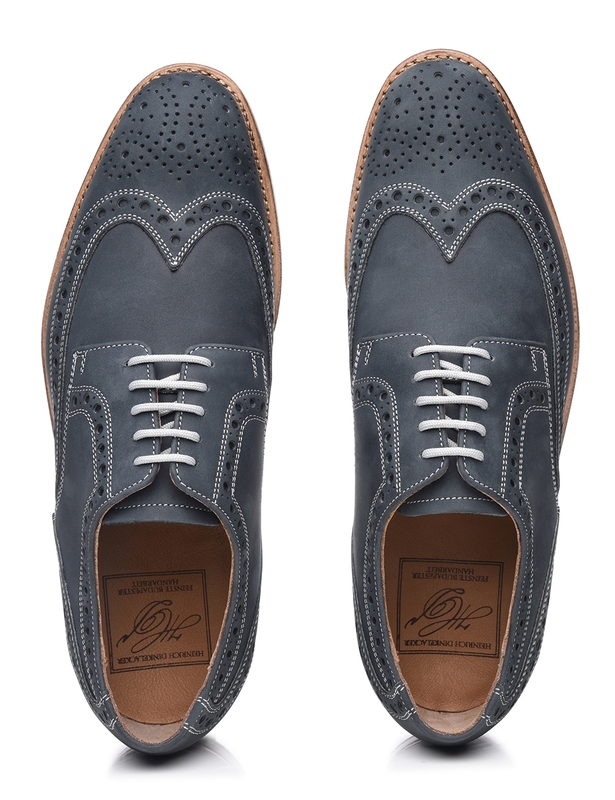 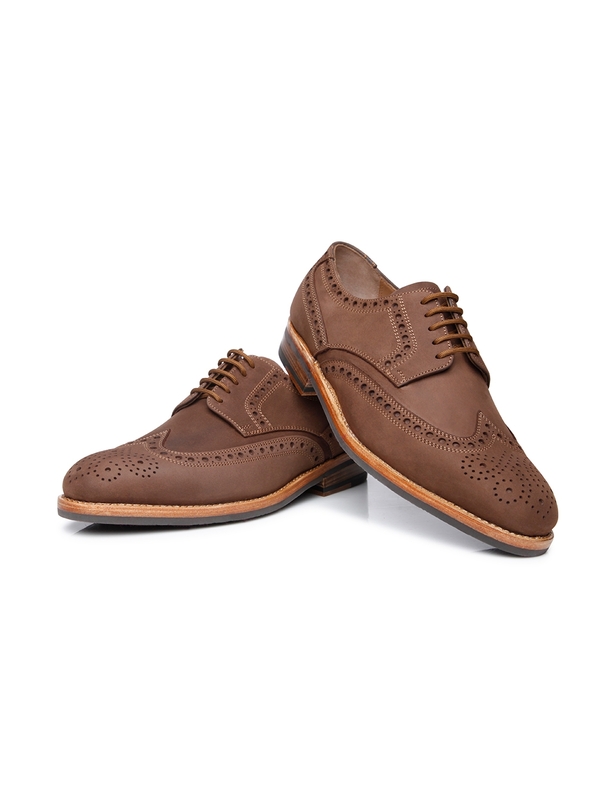 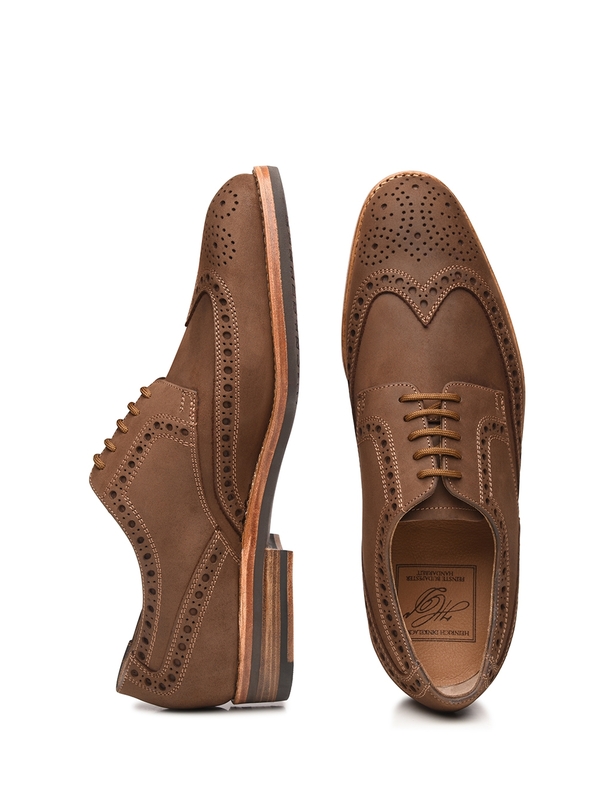 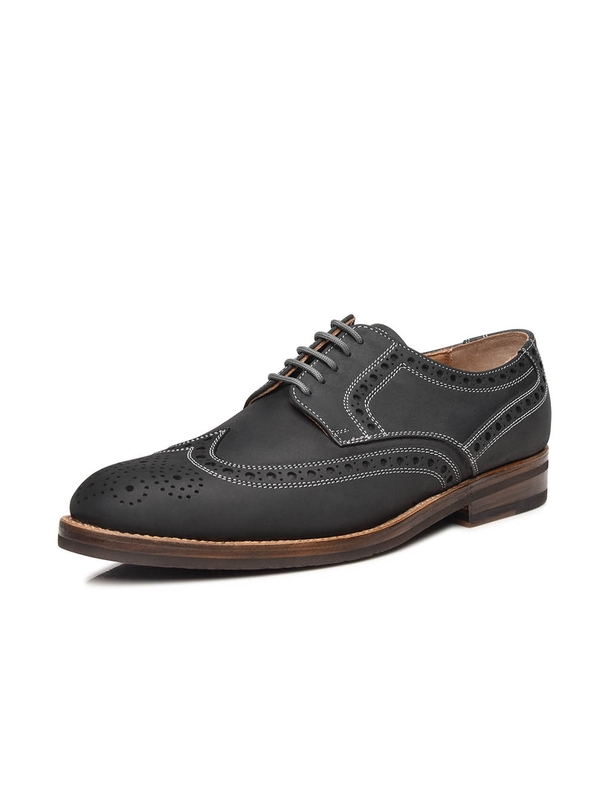 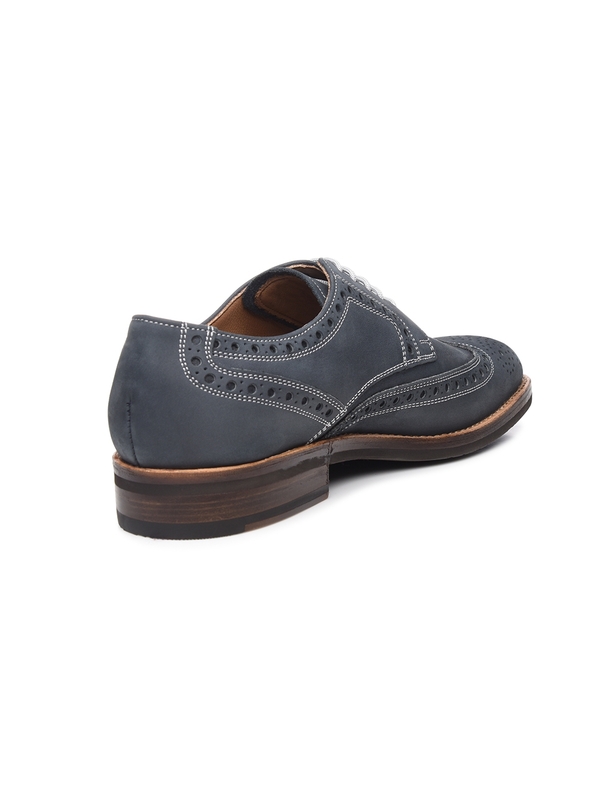 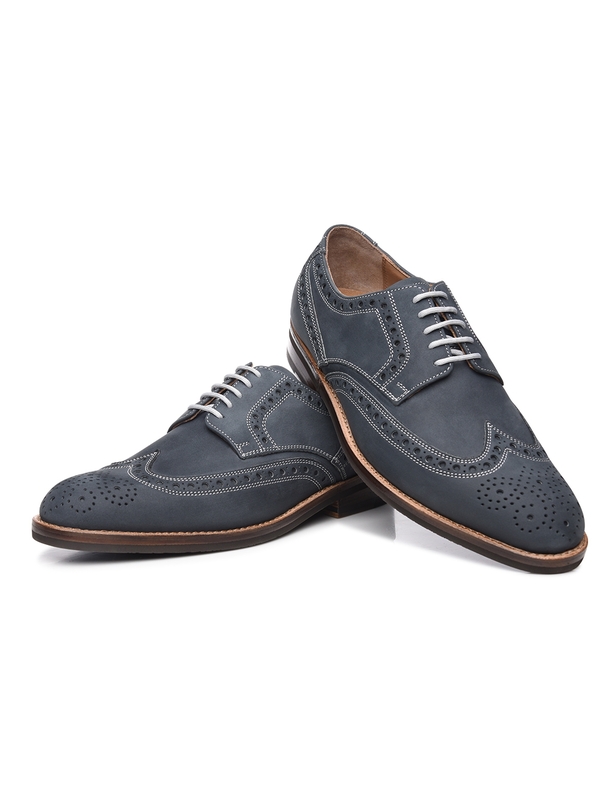 A lively, dynamic feel is made manifest in the form of this sewn-welted, full-brogue Derby. 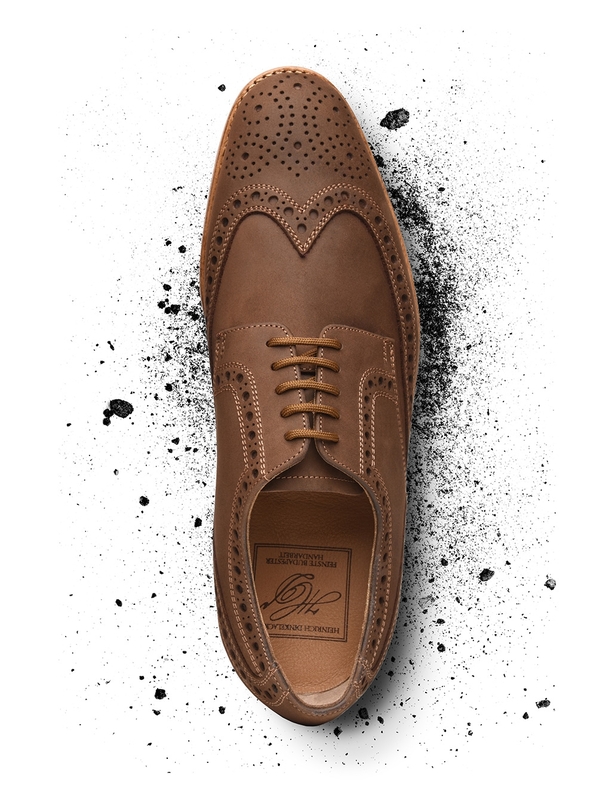 Its multi-part basic shaft cut is accompanied by lavish Lyra perforation, which receives a crowning touch through the lovely ornamentation at the toe cap. Made from soft nubuck and featuring open lacing, this beloved, classic shoe exudes a stylish flair. 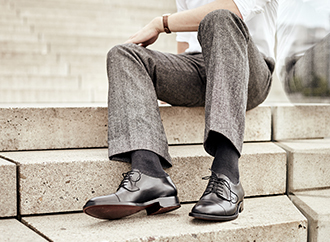 Our cobblers’ many years of experience, perfect sense of proportion, and meticulous craftsmanship result in the unique fit of each pair of Dinkelacker shoes made in our Budapest factory. 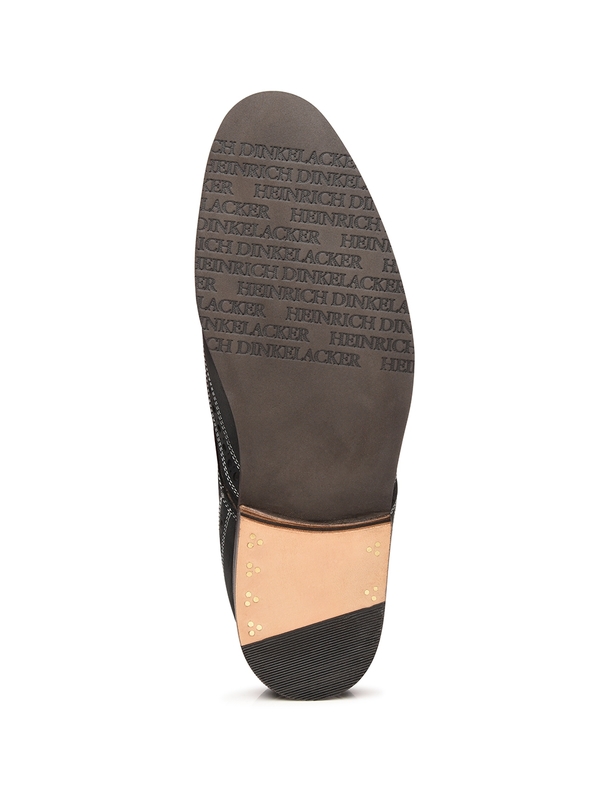 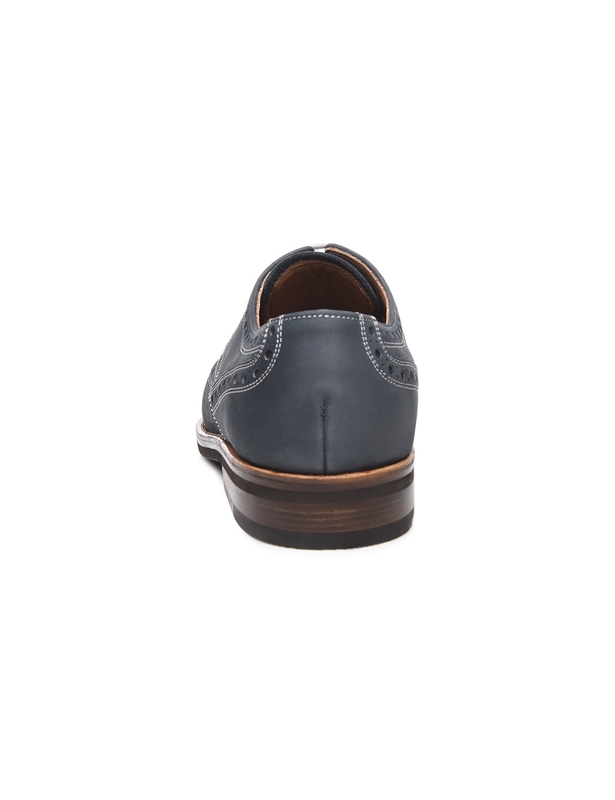 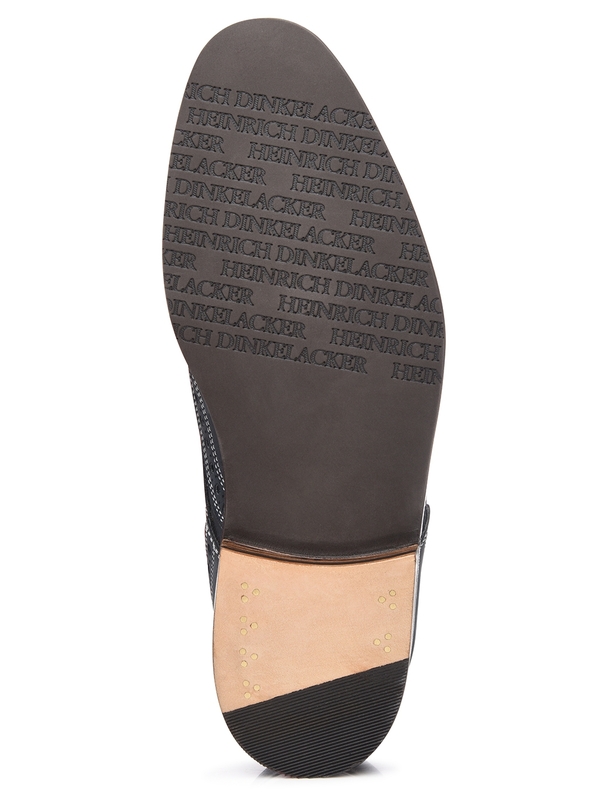 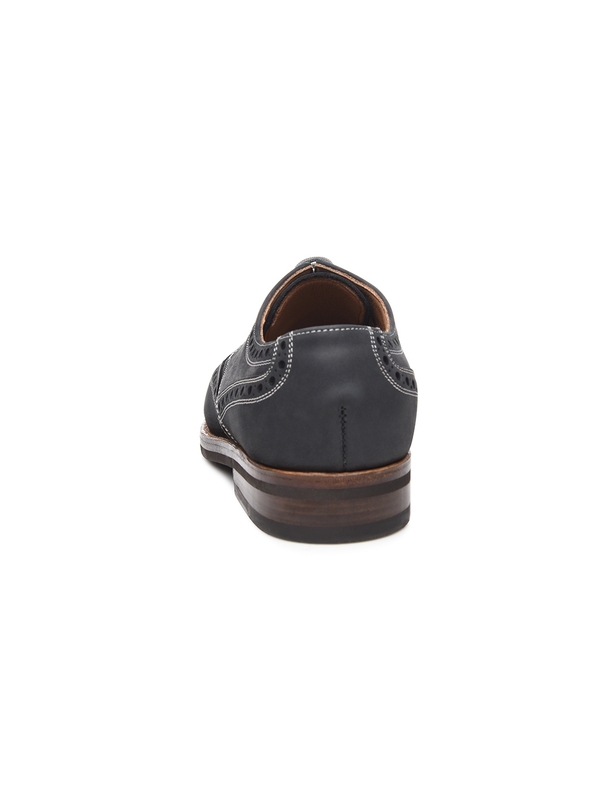 A classic Luzern last and flexible double sole ensure this sophisticated leather shoe’s high level of quality.